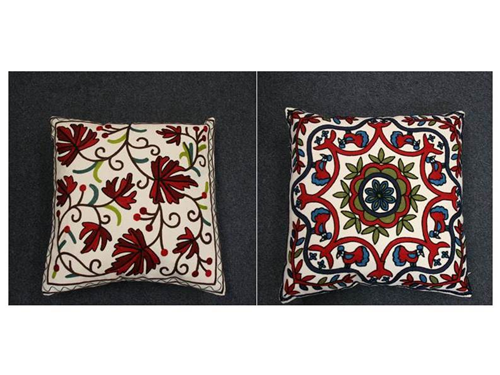 Decorative Pillows – available in 2 styles. 500 units of each style. Size: 18” x 18”. Features a hidden poly zipper and a pillow insert that can be removed when washing. Joy Stitch embroidery – heavy cotton stitching that looks hand-woven.